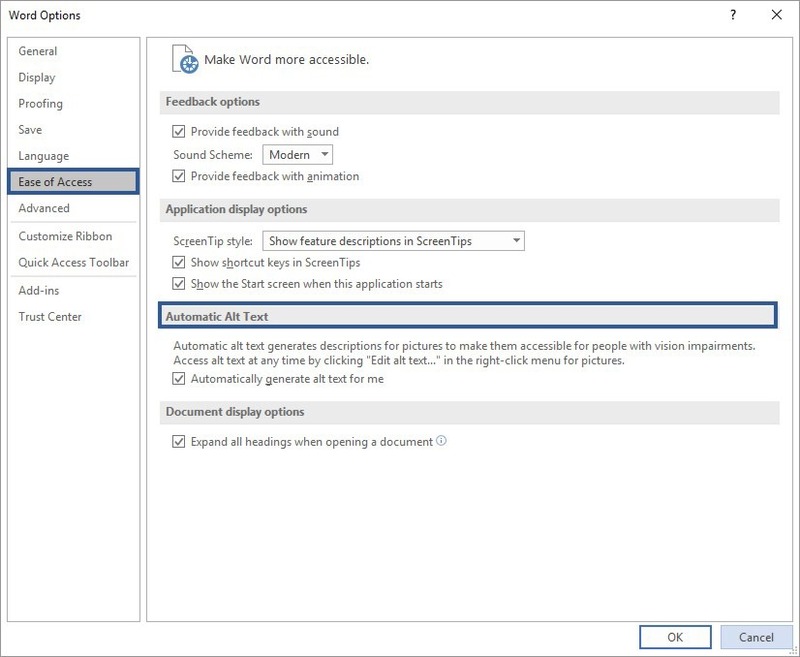 Automatic Alt Text Generates Descriptions For Pictures To Make Them Accessible For People With Vision Impairments. Access Alt Text Any Time By Clicking “Edit Alt Text…” In The Right Click Menu For Pictures. Once we have done the appropriate settings we press the Ok button at the bottom right corner of the Word Options dialog box in order to return to our Document. Alt Text: A Picture Containing Building, Sky, Red (The description depends on the picture that we have inserted). If we do a right click on the image, the shortcut menu will appear, where we select the command Edit Alt Text. Once the command Edit Alt Text is selected the Alt Text task pane will appear, where I have described in a previous post. 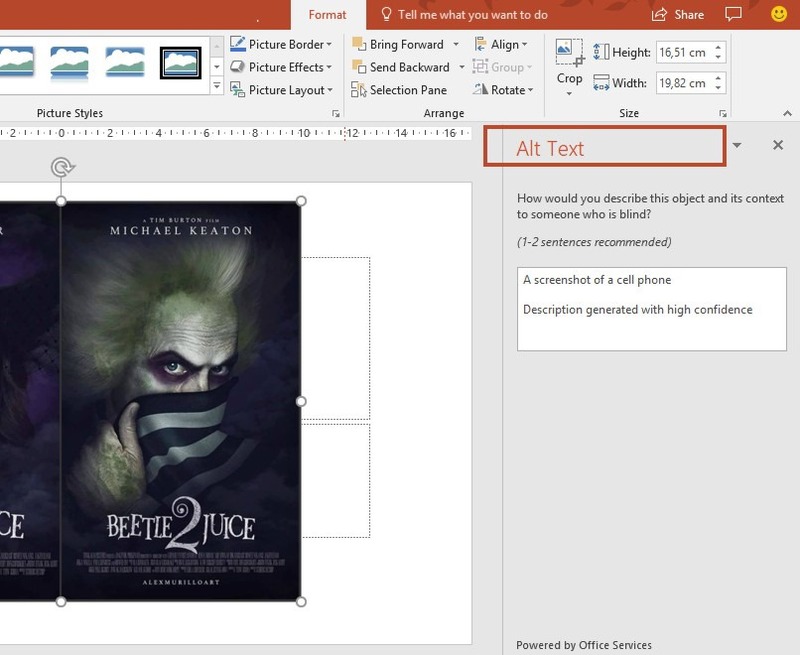 In the image below, I have opened the Microsoft PowerPoint application, where must select the File tab in order to move to Backstage View. Once in Backstage View, from the drop-down menu that appears from the left we select the category Options. Once we have done the appropriate settings we press the Ok button at the bottom right corner of the PowerPoint Options dialog box in order to return to our Presentation. Alt Text: A Screen Shot Of A Cell Phone (The description depends on the picture that we have inserted). If we do a right click on the image, the shortcut menu will appear, where we select the command Edit Alt Text. Once the command Edit Alt Text is selected the Alt Text task pane will appear, where I have described in my previous post. 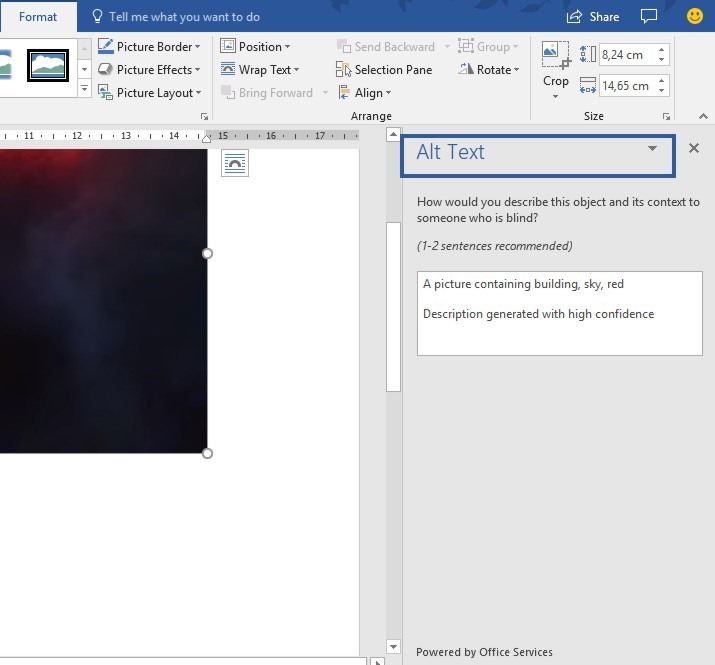 Below you can check out the video describing How To Activate or Deactivate The Alt Text Feature in Microsoft Word, Microsoft PowerPoint 365. 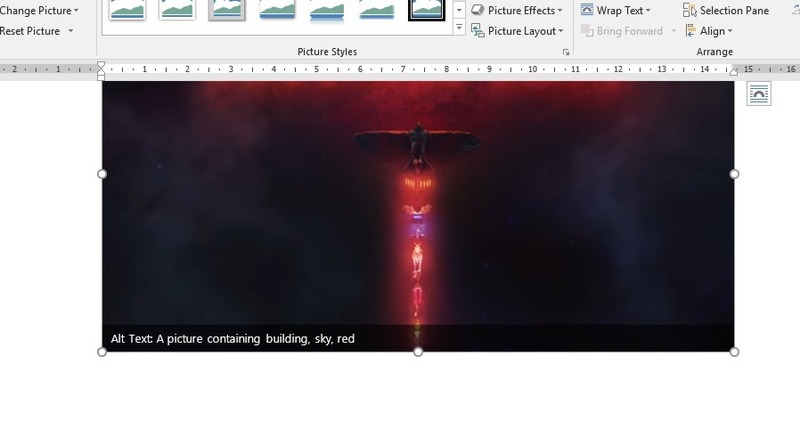 Posted on March 12, 2018, in Microsoft Office 365 ProPlus English, Office 365 English and tagged Automatic Alt Text, Automatic Alt Text Generates Descriptions For Pictures To Make Them Accessible For People With Vision Impairments, Automatically Generate Alt Text For Me, backstage view, Ease Of Access, Generate Automatic Alt Text, Microsoft PowerPoint, Microsoft Word, Office Smart, Office System, philippospan, PowerPoint Options, Smart Office, Subscribe, Word Options. Bookmark the permalink. 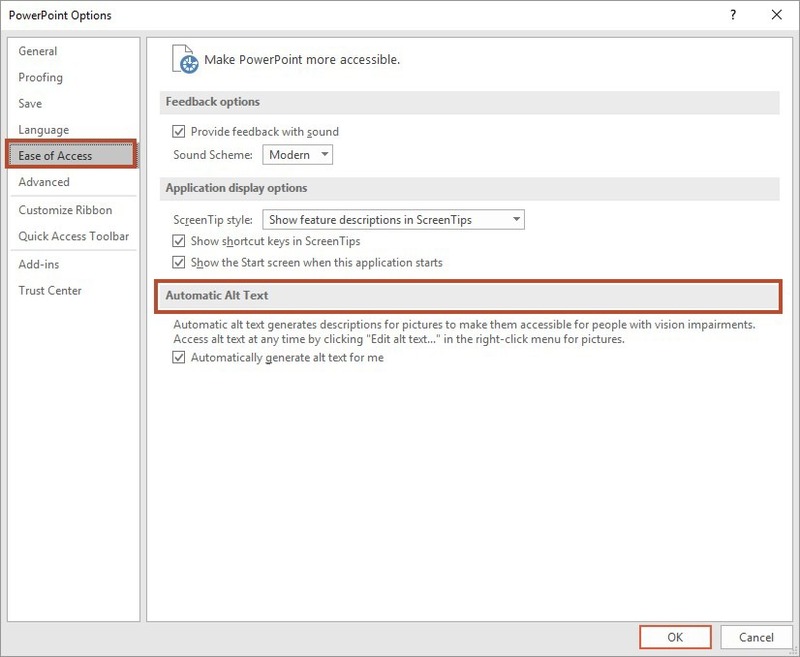 Comments Off on How To Activate or Deactivate The Alt Text Feature in Microsoft Word, Microsoft PowerPoint.